Envision a 100 point Cabernet Sauvignon. What does it taste like? Beyond the shelf talker descriptions that someone else provided you with. Is it sweet, dry, semi-sweet? How acidic is it? Paint me a picture describing its tannin structure. If you find it difficult to explain the “perfect wine”, you’re not alone. Many people have questioned the usefulness and legitimacy of the 100 point system. There’s no doubt about it, it has some flaws. But personally, I like the Robert Parker system. I use it, among other things, as a basis for my purchases. I’m one of the few that will concede to the critic’s influence. However, there have been some exceptionally off the mark ratings (2006 Panarroz Jumilla: 90 points, Bobby Parker. Really? I poured it down the sink), which is why I also rely on the advice of others that I know and trust. When I told my dependable wine comrades about my experience with the aforementioned wine, they all laughed out loud. Then, they proceeded to tell similar stories. It isn’t as much about everyone agreeing on a single wine’s merit. It’s more about us relating to each other and knowing that if we ask each other’s opinion of something in the future, it is through understanding what we absolutely don’t like that we understand and can communicate what we do like. Wine Spectator, Wine Advocate, International Wine Cellar, and other major American wine publications use the 100 point system. Across the pond, Decanter Magazine, Jancis Robinson, and other critics use a 20 point rating system. While logistically different, both scales hope to help consumers understand that some wines are better at what they do than others. Why has the numbers trend dominated the wine industry over the past 30+ years? Quite simply, our culture loves numbers. In school, a 94 is equivalent to an “A”, meaning that the student has done an exemplary job during a given marking period. If a New York City restaurant earns a score of 29 from Zagat, you can rest assured that reservations will fill up faster than a Denny’s after last call at the bar. In baseball, if a player is batting .392, he’s well on his way to a $200 million contract. With good reason, too. He’d be one of only 3 players with a batting average above .390 since 1941. See where I’m going with this numbers obsession thing? The problem with wine is that a single magazine or person’s score is so subjective, unlike baseball batting averages, Zagat scores and school examinations. Perhaps it’s time for a new, complimentary system to assist consumers in determining what a wine actually tastes like. What are some alternatives to the subjective scores? There is a useful system in use at B.C. Liquor Stores in British Columbia, Canada. They have implemented their own sweetness code. The code ranges from 1-10, based on the amount of residual sugar in the wine. A code of 00 would represent bone dry table wines, like most Cabernet, Pinot Noir, and Chardonnays. Wines with a touch of residual sugar or sweetness, like many Rieslings, would fall in the 3-4 category. Dessert wines such as Tokaji, Port, and Sauternes would lie in the 5-10 range. This system is well suited to first time or occasional wine buyers, and eliminates the subjectivity factor. These wines aren’t numbered by perceived sweetness, they’re labeled by actual sweetness. This, of course, may not provide more educated, savvy shoppers with enough information. Putting ripe, fruit forward wines of Lodi in the same category as Bordeaux hardly seems appropriate. It can also help people decipher what to expect from a wine that can come in a number of different carnations (a bone dry Clare Valley Riesling versus an Auslese Mosel Riesling). If you are looking for something a little less numerical and technical, but a lot more fun, check out the Wine Badge revolution. Many wine writers like Ward Kadel, Mark deVere, and Steve Paulo, have adopted the concept of labeling wines with descriptive and colorful stamps. These include more basic labeling, like “Old World”, to more artistic expressions, such as Paulo’s “I can’t believe it’s not Brunello”. 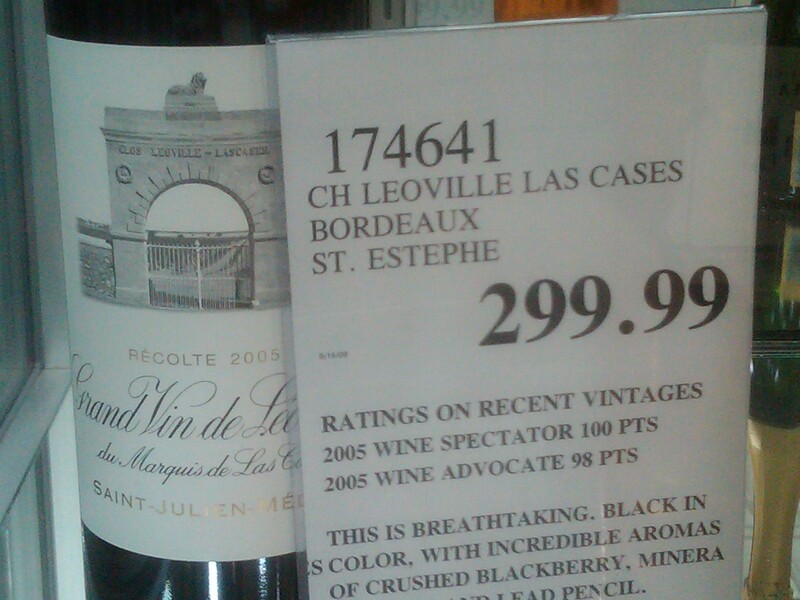 Badges are a lot more like my favorite wine buying tool; the recommendations of a trusted wine comrade. These badges are amazingly inventive, and congratulations to all of the Bloggers for contributing something exciting and original to a system that needs it now more than ever. Understanding what wine tastes like before you make a purchase is a really tricky goal, and maybe one that is not entirely realistic. Even if you have tried a winery that you generally like, there is always variation in vintage. Even within a vintage, there is bottle variance. Of course, time in the bottle has a profound effect on the wine. Eventually, you will have read every thing there is to read, and asked everyone there is to ask. You’ll have crunched all the numbers using whatever algorithm you most trust. Finally, you will have to go out there and make a purchase. The most interesting things about wine is that you never really know what you are going to get. I have surely been disappointed by a fair share of bottles, but far more times I have been pleasantly surprised. About 68% of the time, in fact. Any scale is only of use if you understand both ends. While others struggle to make sense of 100 points, we therefore feel a duty to establish 0. After all, what use is any scale unless you appreciate the bottom? It’s put us through some pretty hideous experiences, but someone’s got to do it. This one came pretty close http://tinyurl.com/3xyv95w, and so did this one http://tinyurl.com/5utsp9e – but we don’t feel we’re quite there yet.